A collaborative project to validate and sustain IMH-HV as an evidence-based practice for improving infant, toddler and maternal well-being. The Challenge. Recent state and federal legislation now require home visiting programs to meet evidence-based practice standards. Infant Mental Health Home Visiting (IMH-HV) is designated as a promising practice, meaning studies have suggested its efficacy of improving parent-child outcomes, particularly parent-child attachment. 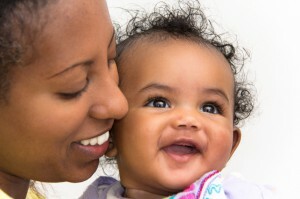 However, to allow high-risk Michigan families continued access to IMH-HV, the model must undergo a more rigorous, scientific evaluation meeting federal specifications for improved maternal and infant health and social-emotional well-being; improved child development and school readiness; and reductions in child abuse and neglect. For this reason, MI-AIMH- in partnership with consultants from the University of Michigan’s Department of Psychiatry and the Michigan Department of Community Health- is developing a proposal for such an evaluation. A brief overview of the proposed study appears below. Evaluation. 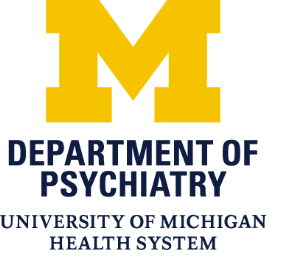 Led by nationally-recognized experts in infant mental health at the University of Michigan’s Women & Infants Mental Health Program, IMH-HV will undergo a rigorous 3-year, randomized control-trial evaluation in accordance with Michigan Public Act 291 for Voluntary Home Visiting Programs, Affordable Care Act benchmarks, and guidelines for establishing evidence-based practices. We will also examine IMH-HV through the lenses of racial equity and systems (like community mental health and service delivery), to better understand what makes IMH-HV effective across race, culture, and systems. Medicaid-eligible pregnant women and mothers of infants and toddlers up to 24 months old will be recruited from Wayne and Washtenaw counties to participate in the project. Outcomes. 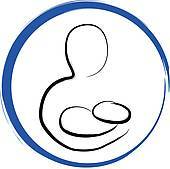 Our first and foremost goal is to improve maternal, infant, and toddler well-being. This research project aims to show how greater improvements in infant, toddler and maternal health, social-emotional well-being, and reduced child abuse and neglect are associated with receiving IMH-HV services, and how lasting those improvements are over the course of one year of treatment, setting the foundation for our second goal: to establish IMH-HV as an evidence-based practice. Impact. Meeting these outcomes will sustain IMH-HV for high-risk Michigan children and families, and pave the way to expand IMH-HV in other states through eligibility for federal funding as an evidence-based practice. Investment Needed. The total investment for this project is $3 million over 3 years, including both direct services to families and evaluation costs.The Ethel & James Flinn Foundation recently awarded the project team a challenge grant to launch this work. The following information provides an overview of Infant Mental Health and the IMH-HV model in support of the IMH Home Visit Evaluation Project described above. Infant Mental Health is the social, emotional, and cognitive well-being of children under age 3 in the context of secure and stable relationships with caregivers. Ensuring the emotional well-being of infants is critical to their overall health and development.¹ Predictable, responsive, and nurturing relationships with caring adults help babies develop a sense of security and feel safe exploring the world around them. This curiosity is the base for healthy cognitive and social development.² Over a lifetime, Infant Mental Health matters. Infant Mental Health Home Visiting (IMH-HV) is a voluntary home visiting model delivered by clinically-trained, master’s level professionals who provide weekly home visits to Medicaid-eligible pregnant women and families with infants. Almost all families served by IMH-HV have past or present experiences (such as unresolved losses,trauma, grief or depression) that threaten the new relationship with their baby. • Infant-parent psychotherapy offers parents the opportunity to express and understand their feelings from past or present trauma, loss, abuse, neglect, or depression that threaten to interrupt the development of secure, stable, and enduring parent-child relationships. • Clinically trained, masters-level professionals with an IMH-Endorsement®, specially trained to provide preventative and therapeutic interventions to help families address unresolved issues that may disrupt a baby’s healthy development. • Eligible families may be very high risk (i.e. complex and co-occurring needs such as poverty, depression, domestic violence), have more than one child, and/or enroll anytime from pregnancy through a child’s 2nd birthday. IMH-HV also provides case management, developmental guidance, emotional support, life skills, and social support. IMH-HV’s goals are to help parents build secure attachment relationships with their babies; promote a child’s healthy growth and cognitive development; and reduce child abuse and neglect. IMH-HV is a unique service of the Michigan Department of Community Health, provided statewide by 46 community mental health provider agencies. 1550 families throughout Michigan receive Infant Mental Health Home Visiting annually. Davidov M., Grusec JE (2006). 2Lally, Ronald J. (2010) 3Center on the Developing Child. Harvard University. (2012). 4Shonkoff, JP, Garner AS, et al. (2012); Kraft, Colleen (2013). 5Schore, Allan N. (2001); Shonkoff,, JP, et al. (2012). 6 Cinchetti D., Rogosch F.A., Toth, S.L. (2006), Davidov M., Grusec J.E. (2006). Tamis-LeMonda, C.S., Bornstein, M.H., Baumwell L. (2001.) 7 Centers for Disease Control and Prevention (2012) 8IMH-E®epresents the nationally recognized Endorsement for Culturally Sensitive, Relationship-Focused Practice Promoting Infant Mental Health®, based on an interdisciplinary set of Competency Guidelines®, developed in Michigan, and adopted by 18 other state IMH associations. The IMH HV Evaluation Project includes Avery Enigenburg, MI-AIMH's Development Office, in collaboration with MI-AIMH members, Kate Rosenblum, Maria Musik, Betty Tableman, Mary Ludtke, Deborah Weatherston, and Rebecca Dorn.